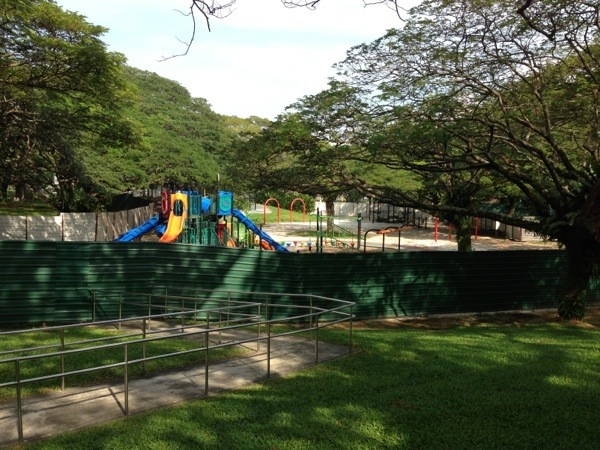 6 months ago, we were disappointed to come to a Pasir Ris Park with most of its playground boarded up. We had to make do with whatever was left. Turn the clock forward. 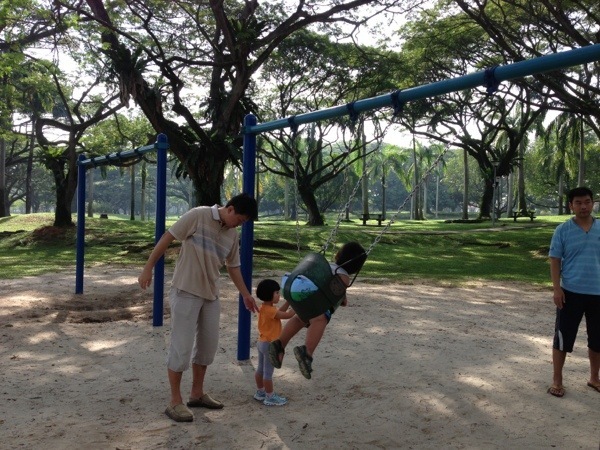 Today we visited Pasir Ris Park again. Since massive condominiums can be constructed within a time frame of 3-4 years, we figured that 6 months should be enough to rebuild a little playground. It looked exactly the same as the last time we visited it. If they are not ready to rebuild it, shouldn’t they just let the children have access to it for another 6 months?? 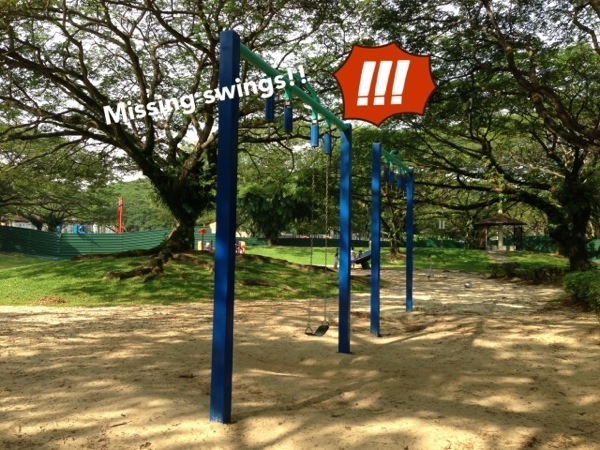 Even the swings are missing this time round?!?! Nparks, why oh why?! When are you going to complete the upgrading??? Condominiums are built faster than your upgrading. Sigh….